My Vellvette bag usually arrives around the 26th. It came on the 30th this time! The bag is adorable! Its black and pink! These bags are so useful for travelling. 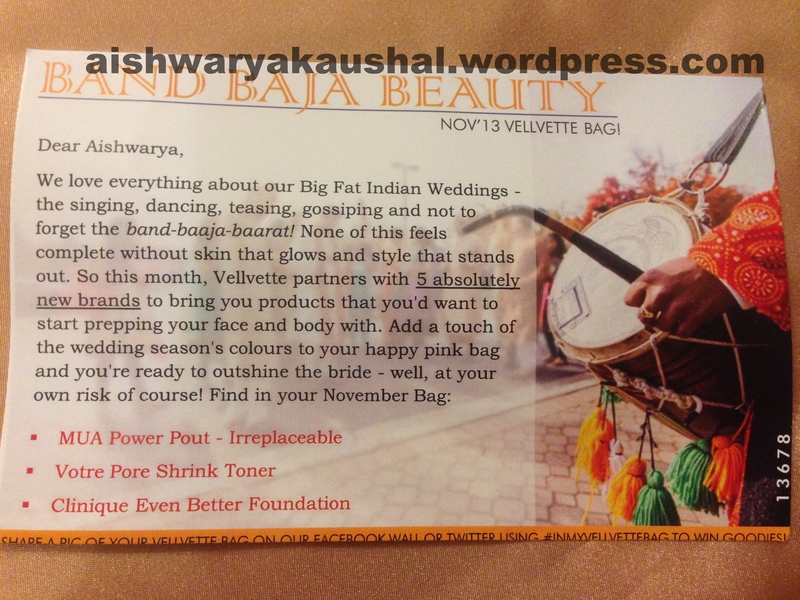 The theme this month was Band Baaja Beauty due to the blooming wedding season! I have oily skin so this product might be good. I am excited to try it. 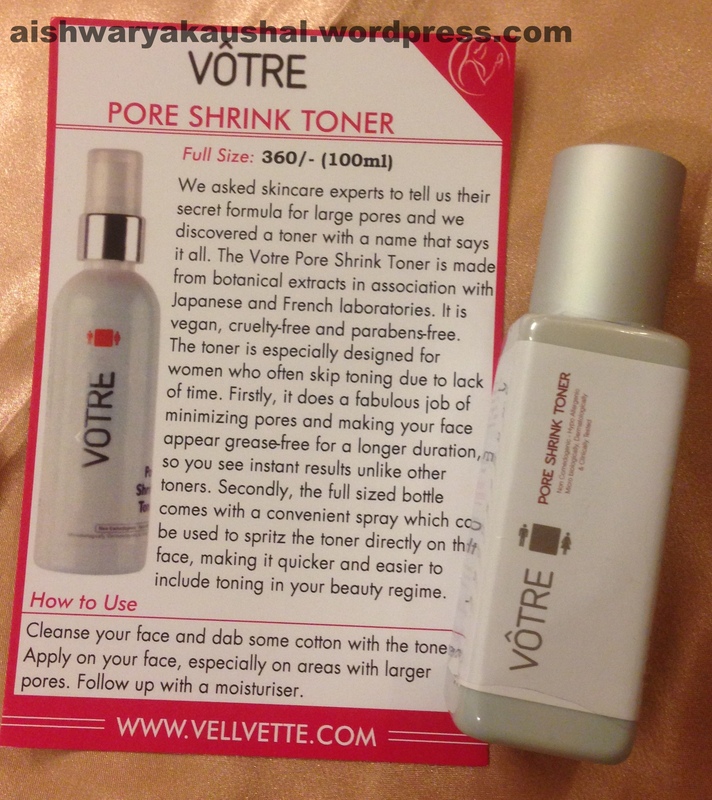 I must admit I get very lazy with toners but shrunken pores will be a lucrative result! 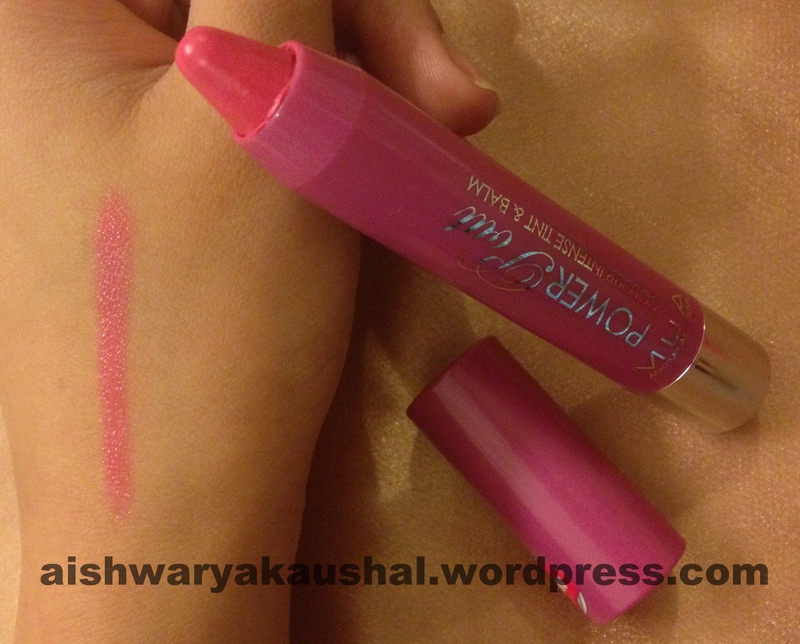 :-P. Plus, it is a very generous size sample so I will be able to tell if I like it enough to purchase the full size. Lip crayons are so popular right now! They’re really comfortable to wear and I am so happy with the color I got! I didn’t get a card for this product. MUA is a UK based brand. So, it is really nice that we get to try these international brands through Vellvette. 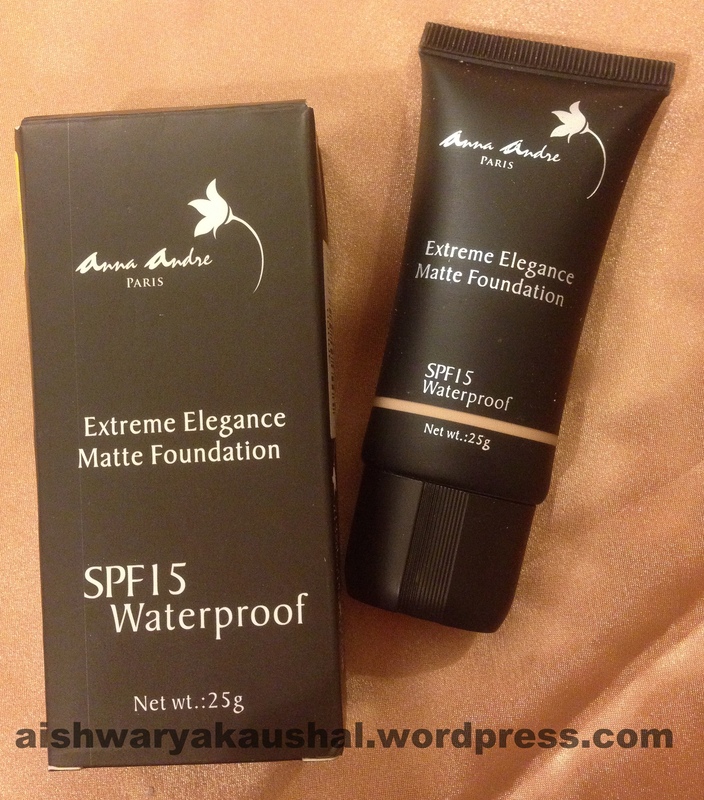 I have heard so many good things about this foundation. I am so glad Vellvette sent me something from a relatively high end brand this time. 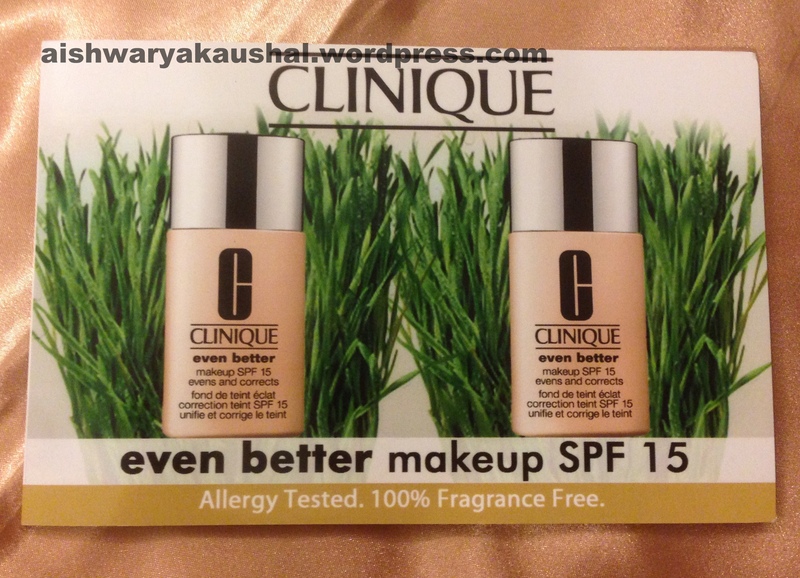 I am excited to try this foundation especially now that my skin is drier in winters. They didn’t just send one tiny sachet, there are 4! That is a very good sample size for a foundation considering each sachet will last me about 2 uses. Another wonderful thing is that Vellvette matched the foundation to my skin tone PERFECTLY. It is not a tinge darker or lighter! I am highly impressed! These are extremely tiny and single use samples. Even though they’re little single use samples, I can tell that they’re budge proof! I rubbed and rubbed my hand and these didn’t move. 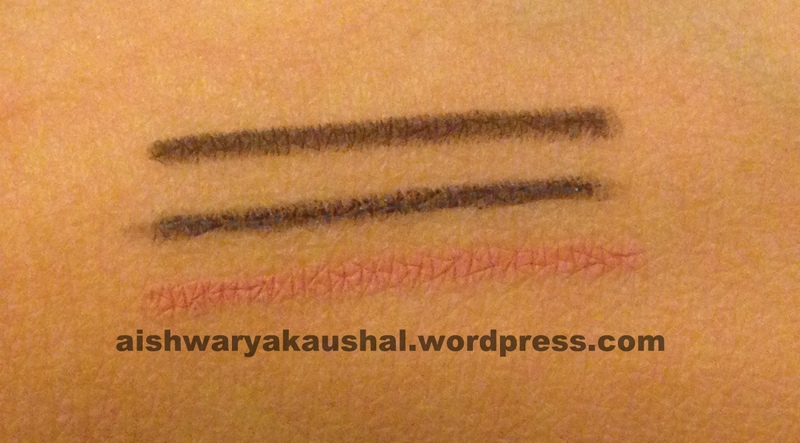 It makes me want to purchase the full size because it is very hard to find budge proof eye and lip liners. 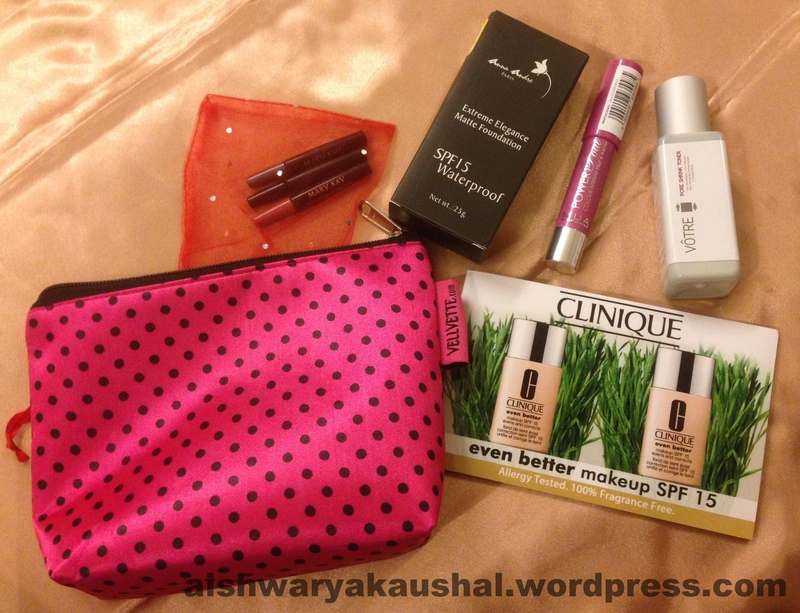 Also, I am mega glad that I got more makeup products this month! Well done Vellvette! Outfit Of The Day – Peplum Blazer and Orange Maxi Skirt! The power pout is for 300 bucks. I ordered directly from MUA website when the free shipping was on. Yes, MUA is regular drugstore brand in the UK. I wish they’d understand what we want and expect out of a beauty box!